Just like the 2018 Solo 401(k), the 2019 Solo 401(k) contribution limits will increase. If you’re a plan participant under 50, you can make a maximum annual employee deferral contribution in the amount of $19,000. You can make it in pre-tax, or after-tax (Roth). On the profit sharing side, the business can make a 25% annual profit sharing contribution up to a combined maximum of $56,000. This includes employee deferral. This is an increase of $1,000 from 2018. It’s 20% in the case of a sole proprietorship or single member LLC. If you’re a plan participant over 50, you can make a maximum annual employee deferral contribution in the amount of $25,000. Again, you can make this amount in pre-tax, or after tax. On the profit sharing side, the business can make a 25% annual profit sharing contribution up to a combined maximum of $62,000, an increase of $1,000 from 2018. This includes the employee deferral contribution. It’s 20% in the case of a sole proprietorship or single member LLC. One of the main benefits of a Solo 401(k) Plan is the opportunity to make higher annual contributions in pre-tax, or after-tax. IRA Financial Group’s Solo 401(k) plan is unique and popular because it’s specifically for small, owner-only businesses. There are many features of the IRA Financial Group’s Solo 401(k) plan that make it so appealing for small business owners. However, you must pay back the loan over a five-year period at least quarterly. You can do this at a minimum prime interest rate. You do have the option of selecting a higher interest rate. The most attractive feature of the IRA Financial Group Solo 401(k) Plan is that it offers the plan participant checkbook control over his or her retirement funds. In the case of a conventional Solo 401(k) Plan by most financial institutions, the plan participant needs to make traditional investments. This includes stocks and mutual funds. However, the Solo 401(k) Plan account must stay open at the financial institution. With IRA Financial Group’s Solo 401(k) Plan, the plan account can be opened at any local bank, including Chase, Wells Fargo, and Fidelity. In addition, with IRA Financial Group’s Solo 401(k) Plan, the plan participant can make almost any traditional as well as non-traditional investment, such as real estate and precious metals. Of course, you must be aware of the IRS prohibited investments. With IRA Financial Group’s Solo 401(k) Plan, the Plan participant has the freedom to make the investments he or she wants while at the same time opening the 401(k) account at any local bank. As trustee of the Solo 401(k) Plan, the Plan Participant (you) can serve as the trustee providing you checkbook control over your retirement funds. With IRA Financial Group’s Solo 401(k) Plan, making a Solo 401(k) Plan investment is simple. All you have to do is wire funds or write a check. The income and gains from these investments will flow back into your Solo 401(k) tax-free. Unlike a conventional Solo 401(k) Plan offered by most financial institutions, IRA Financial Group’s Solo 401(k) Plan contains a built in Roth sub-account which can be contributed to without any income restrictions. In addition, the IRA Financial Group’s Solo 401(k) Plan allows for the conversion of a traditional 401(k) or 403(b) account to a Roth subaccount. However, the Solo 401(k) Plan participant must pay income tax on the amount converted. IRA Financial Group’s Solo 401(k) Plan is fast and simple. Generally, there’s no annual filing requirement unless your solo 401(k) Plan exceeds $250,000 in assets, in which case you will need to file an information return with the IRS (Form 5500-EZ). However, unlike a financial institution, the tax professionals at the IRA Financial Group will assist you in completing this form, if it is required. 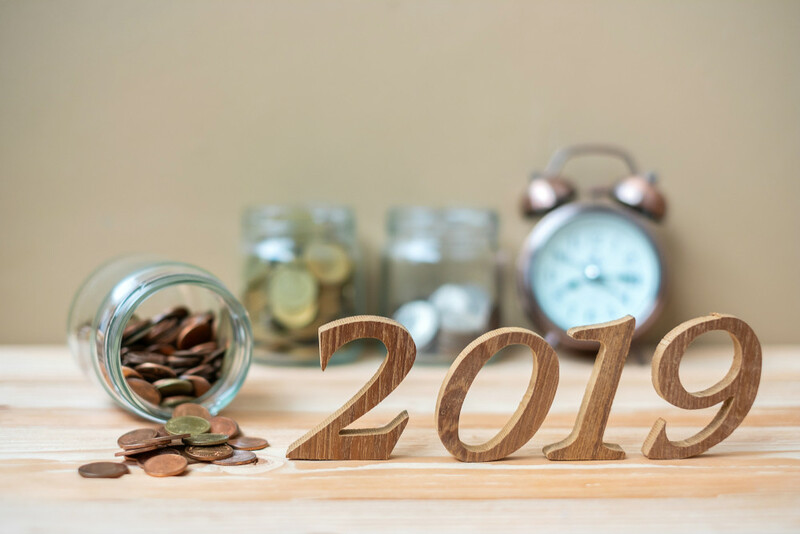 Do you still have questions about the 2019 Solo 401(k) contribution limits that we did not mention in this article? Feel free to contact IRA Financial Group directly at 800-472-0646. Or fill out the form to speak with an on-site 401(k) specialist. Our specialists will answer any questions you have pertaining the 2019 Solo 401(k) contribution limits. A Solo 401(k) Plan can help you save thousands in taxes in 2018 by way of deductions.